Shannon Kennan joined the Donald P. Bellisario College of Communications as senior lecturer and instructional designer in 2011. Her primary responsibilities focus on assisting faculty in creating and implementing online learning opportunities. She also teaches in the journalism department. She has worked in higher education in variety of administrative and teaching roles. In addition, her educational experiences -- bachelor's degree (early childhood eduction), master's degree (counseling psychology) and Ph.D. (Mass Communications) -- provide a mix of skills that allow her to bring a student-centered focus to the position. Shannon's career has focused on working in the fields of psychology and education as a teacher, student affairs administrator, and counselor. She is interested in the place where technology, psychology, and education converge. 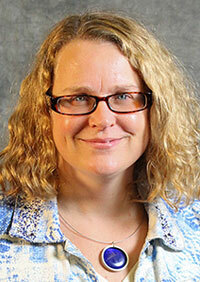 She also works with a variety of social media, new technologies, and online teaching competencies. Her research within the PhD program focuses on ethical and moral decision-making, social media, and mental health/illness issues within the media. Her dissertation topic is on ethical decision making related to children during traumatic events. Specialties: Online learning, social media, teaching with technology, childhood and adolescent development, psychological issues, family/systems therapy, college student development, pedagogy, professional development and training, crisis management, supervision. Kennan, S., Bigatel, P., Hoewe, J., Stockdale, S. (2017) One Size Doesn’t Always Fit All: Modifying teaching behaviors based on levels of student self-directedness in online learning. The Internet and Higher Education (under review).